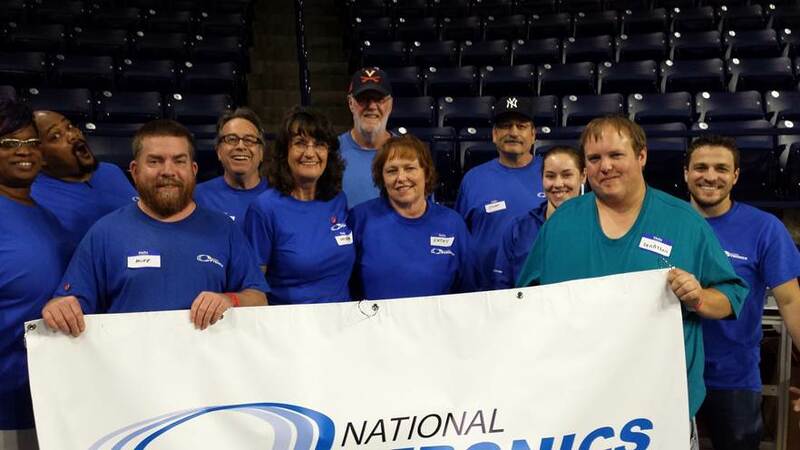 Earlier this month 14 employees from our partner Satisloh/National Optronics, volunteered for the Special Olympic Games in Richmond, Virginia, and screened 229 young athletes. Just a few days after the successful support of the Special Olympics Summer Games in Hanover by Essilor Germany and local partners, another Special Olympics highlight took place in a different corner of the world. 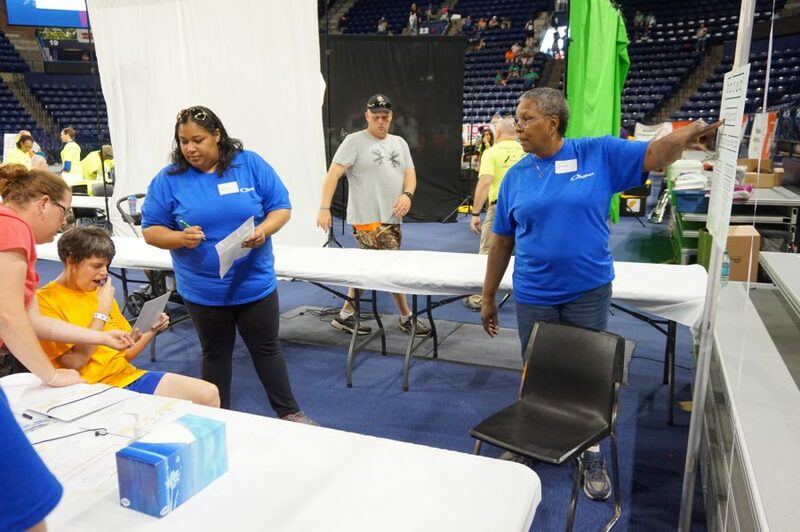 On the 11th of June, fourteen volunteers of Essilor’s partner Satilosh/National Optronics screened 229 young sports men and women as part of the Healthy Athletes Opening Eyes program in Richmond, Virginia. 45 athletes were equipped with a pair of glasses. People with intellectual disabilities typically receive sub-standard care, or virtually no health care at all. 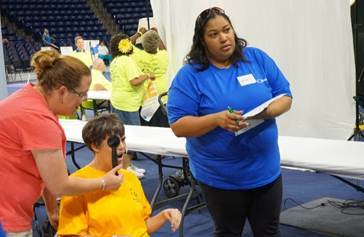 Clearly training and participation in Special Olympics events helps athletes get ‘more healthy’. But participants are also individually supported at each competition by the Special Olympics Healthy Athletes program. With more than 1.6 million free health examinations conducted in more than 130 countries, this program offers crucial health services and information. Through Opening Eyes, a key part of the program, athletes benefit from vision tests and are equipped with appropriate glasses if necessary. The program was launched due to a real need to improve healthcare for people with intellectual disabilities people which many take for granted. ”Despite the mistaken belief that people with intellectual disabilities receive the same or better health care than others, they typically receive sub-standard care, or virtually no health care at all”, explains the Healthy athletes website. That’s because they can be more difficult to examine, require specialized equipment and need a much longer examination time. 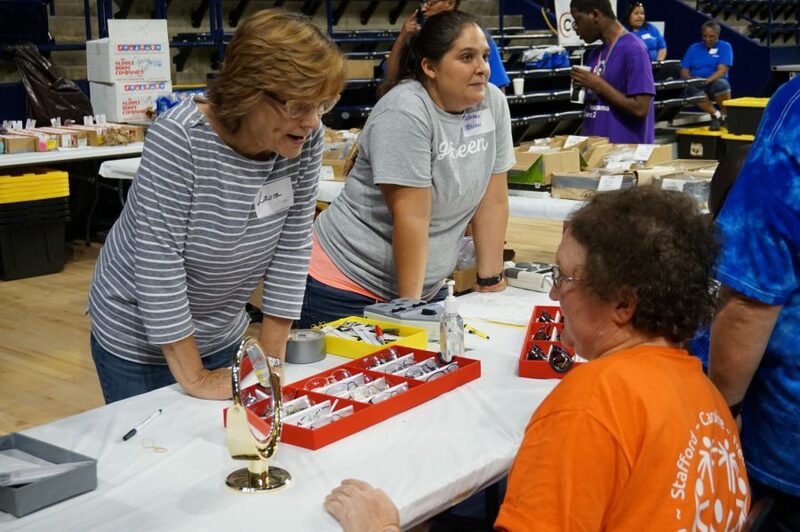 Since Kaitlyn joined this Special Olympics community she has received two new pairs of glasses, which she didn’t even know she needed until she had an Opening Eyes check-up two years ago at the Summer Games. Kaitlyn is not an exception. Although research demonstrates that people with intellectual disabilities are at higher risk of experiencing sight problems, there are still many people not receiving regular eye checks or appropriate help if they have vision problems. Recognising this problem, 14 years ago Essilor decided to form a partnership with Special Olympics, showing its commitment to improving everyone’s vision, whatever the complexity of visual need. 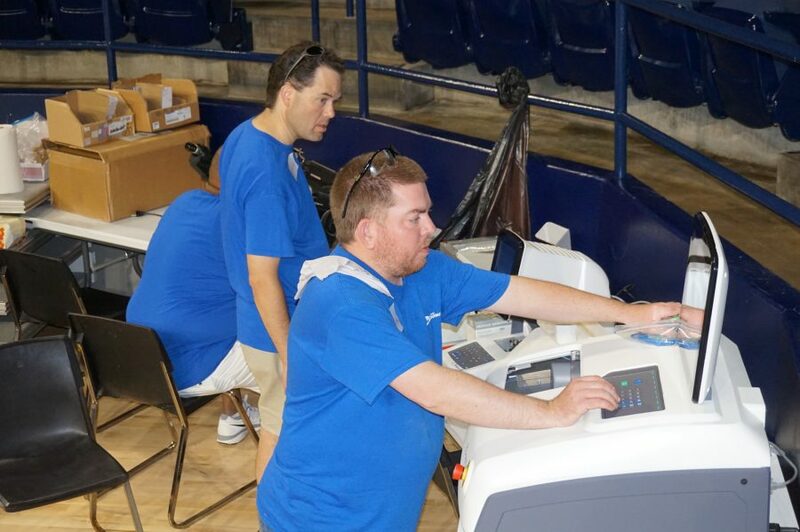 Since then, hundreds of thousands of Special Olympics athletes all over the world have received prescription eyewear, protective sports eyewear and proper eye health and vision care. It truly is amazing to watch all the kids get their new glasses and see the huge smiles on their faces. The testimonials from our volunteers prove that not only the athletes but also our employees enjoyed the experience. 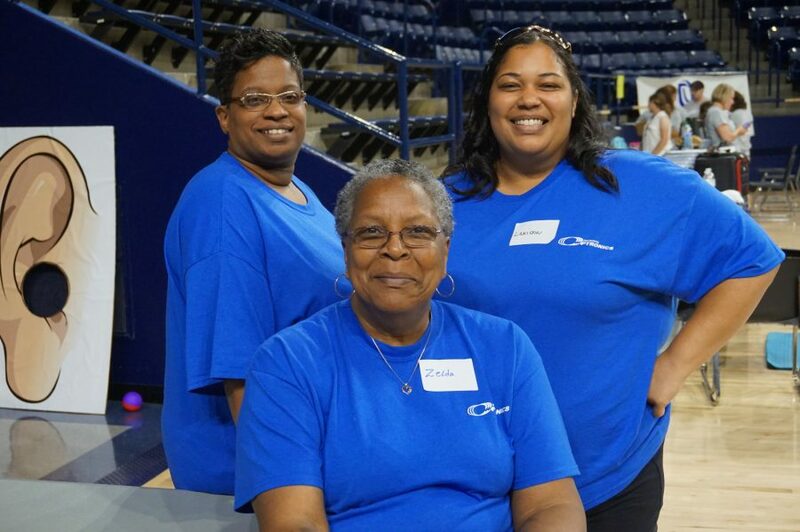 “I can’t think of any other way I would have wanted to spend my birthday than volunteering along with my wife and all the other employees at the 2016 Opening Eyes event. It truly is amazing to watch all the kids get their new glasses and see the huge smiles on their faces. I hope to do it again next year as it is something that really makes a difference in young kids’ lives.” explains Rex Layman, Service Technician at Satisloh. 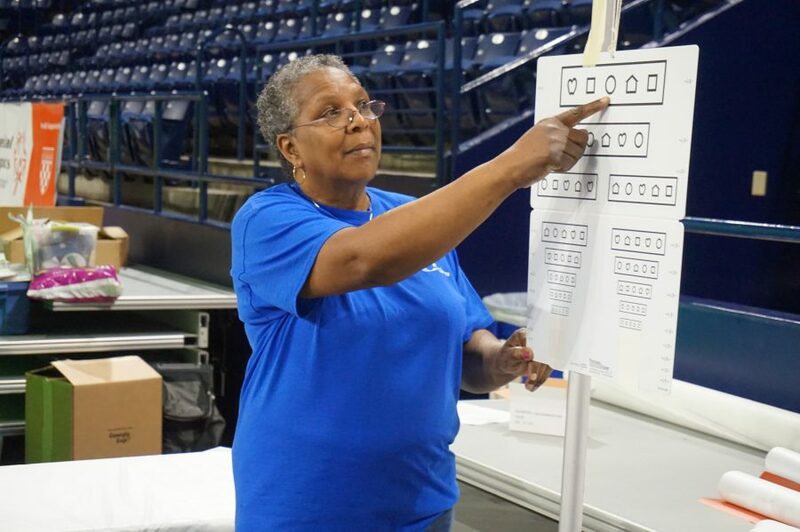 Every athlete was so glad and grateful for the opportunity to get eyeglasses. It was heartwarming and inspiring! 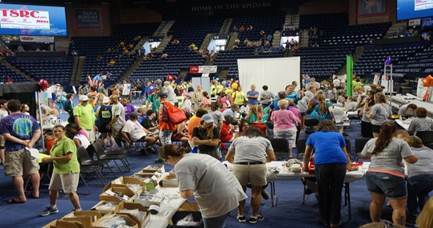 Another volunteer describes his experience at the event: “I was stunned by the amount of interest that Opening Eyes generated. I worked at the check-in area for a couple of hours and towards the end, we had so many athletes checked in that we ran out of chairs in the waiting area. Every athlete was so glad and grateful for the opportunity to get eyeglasses. It was heartwarming and inspiring!” We are looking forward to many more “heartwarming and inspiring” events thanks to our partnership with Special Olympics and say thank you to everyone who contributed to this great partnership.